" Like Edward Cullen in Twilight, Nigel Mullet was transformed into a vampire when he was still a teenager, and will remain this age forever. Unfortunately, Nigel became a vampire at the awkward age of fifteen, and must spend eternity coping with acne, a breaking voice, and an ineptitude with girls . . . 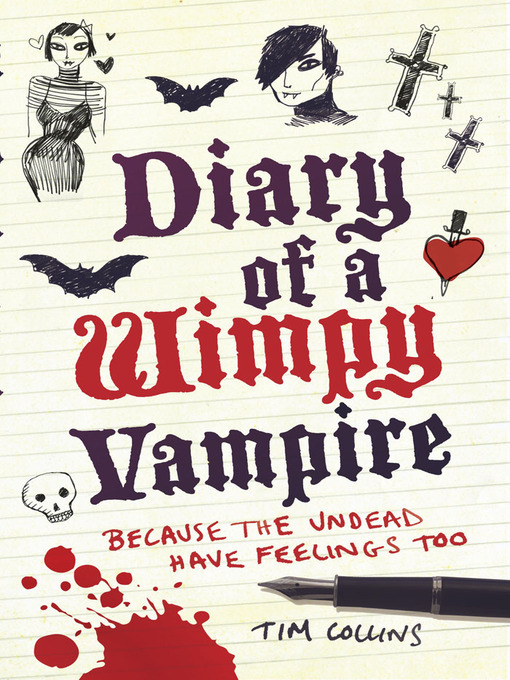 In this, his excruciatingly funny diary, Nigel chronicles his increasingly desperate attempts to be noticed by the love of his life, Chloe Sparrow, the constant mortification caused by his vampire parents (not to mention the worry that they might accidentally eat one of his friends), and the frustration one feels when you ve got the whole of boring eternity stretching out in front of you. " Review(by Alice): That book is really nice and really got me into it. They way Tim describes the life of the nerd vampire, Nigel, he shows us the other side of vampires we never knew. That book is nice for anyone, from kids to young adult, what makes it pretty age-wide. But what really makes me love it, is that Nigel is a bit like, me. Or anyone else who is or feels that he's a nerd or not. But there were few parts that made me disappointed, like the too-much-nice-and-cute-ending, and the truth behind the attacks in the city, it made me laugh so much that I needed to breath few times to continue :) . In other words, it's a type of book for everyone, even if you don't like vampires.